The Skymates Multi Crew Cooperation (MCC) course is a great opportunity for pilots to gain the skills and experience for the safe operation of Multi Pilot Aircraft. 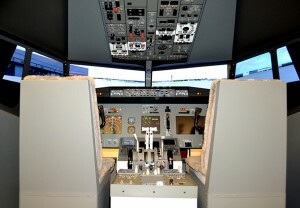 The Airline approved Skymates MCC course on the B737-800 is an intensive course that includes five days of ground school and five 4-hour sessions on the B737-800. At the completion of the course pilots will have demonstrated proficiency in the safe operation of Multi Crew Aircraft and will be issued with a Skymates MCC Certificate. Applicants should have a valid multi-engine certificate with instrument rating and demonstrate competence in the English Language (Preferably ICAO level 4). © Skymates, Inc. All Rights Reserved.